In the 1950s the space race between the USA and the USSR was well and truly on. But before man ventured into the cosmos, his four-legged friends would pave the way for space exploration. In the 1950s the space race between the USA and the USSR was well and truly on, and was for both a matter of pride and propaganda. But before man ventured into the cosmos, his four-legged friends would pave the way for space exploration. The first canine cosmonaut was Laika, meaning ‘barker’. The little stray could never have anticipated that she would one day float 200 miles above the Moscow streets. She would be canonized as a proletarian hero, appearing on stamps, postcards and souvenirs. Her successors were Belka and Strelka, the first dogs to successfully return safely to Earth, and with them, the cult of the space dog was born. 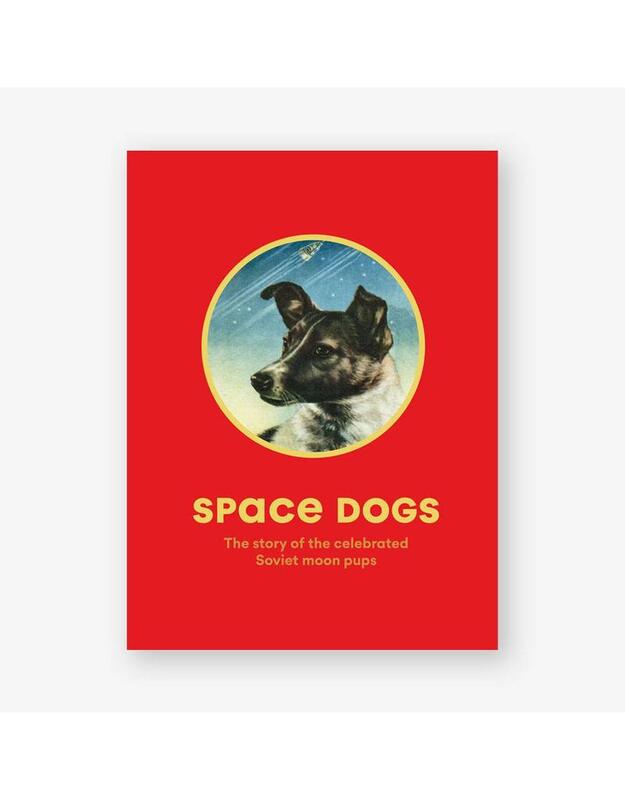 This fascinating book tells the story of the space dogs, illustrated with legendary photographer Martin Parr’s vintage space dog memorabilia. In a regime that eschewed celebrating individual achievement, these dogs became Soviet superstars, with a vast array of merchandise, books and films in their honour. Internationally acclaimed documentary photographer Martin Parr is also known for his astonishing and witty collections of twentieth-century ephemera. Previous publications include Boring Postcards, The Last Resort and a retrospective of his work, Martin Parr. He has also been involved in several TV and film collaborations. Richard Hollingham is a multi-award-winning science and space journalist, BBC radio presenter and producer. Space correspondent for BBC future and presenter of the Space Boffins Podcast, Richard is also a video producer and launch commentator for the European Space Agency. He is a regular visitor to Russia, and has reported from space centres around the world, including the Baikonur cosmodrome and mission control Moscow.